Kev Choice will perform his previously commissioned work by the Oakland Symphony, Soul Restoration Suite with Awesöme Orchestra under the direction of conductor David Möschler. >RSVP – $30–$40 Suggested donation to reserve a seat or pay what you can the day of the event. 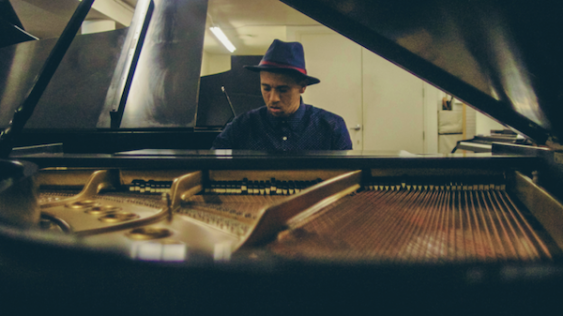 The piece is a combination of Hip-Hop, Classical, Soul, R&B, and Jazz, and features Kev Choice as piano soloist and M.C. The performance will also feature the Kev Choice Ensemble, Oakland School For The Arts High School Vocal Chorus, and special guests Jennifer Johns and Viveca Hawkins. They will be performing selections form Kev Choice’s critically acclaimed album “Oakland Riviera“, commemorating the fifth anniversary of its release. Sorry! The contest for Kev Choice with Awesöme Orchestra | Oakland has ended.